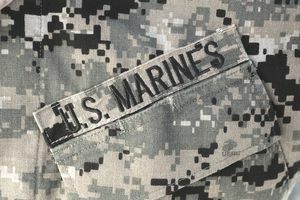 The United States Marine Corps (USMC) was officially established on November 10th, 1775, by the Continental Congress. It was resolved in that Continental Congress that "soldiers of the sea" be created and used as landing forces and shipboard security for the new United States Navy Fleet. There is a proud Marine tradition that the Corps was originated in a bar called the Tun Tavern in Philadelphia. Recruits were lured to joining the newly formed Marines by two newly commissioned Captains Samuel Nicholas and Robert Mullan with mugs of beer and the promise of high adventure on the seas. These new recruits are said to have later served with the first five companies aboard Continental Navy ships. While the Marines fall under the Department of the Navy, they are a separate branch of service. This was established by Congress in 1798. The Navy and Marine Corps is a valiant fighting team. The Navy will care for Marines with Navy Bureau of Medicine and berth and feed them when on board Navy amphibious ships. The Marines are warfighters on land and will increase the area of war from the water to land. The Navy and Marine Corps team are a highly capable amphibious warfighting people and machines. While amphibious operations are their primary specialty, in recent years the Marines have expanded to other ground-combat operations, as well. The Marines are generally a lighter force when compared to the Army, so they can generally be deployed quickly. For combat operations, the Marines like to be as self-sufficient as possible, so they also have their own air power, consisting primarily of fighter and fighter/bomber aircraft, as well as attack helicopters. Despite being essentially self-sufficient, the Marines do use the Navy for much of their logistical and administrative support. For example, there are no doctors, nurses or enlisted medics in the Marine Corps. Even medics that accompany the Marines into combat are specially-trained Navy medics. With the exception of the Coast Guard, the Marines are also the smallest service. There are approximately 194,000 officers and enlisted Marines on active duty. Here are the things you should consider before joining the Marines. The Marine Corps has over 180 enlisted jobs, with the ratio being heavily weighted toward combat jobs. Learn about jobs in the USMC and how Marines get them. Marine Corps basic training has the reputation of being the toughest of all the services. It is the longest, at about 12 1/2 weeks. Learn more about basic training, physical and strength requirements, leave and more. Find out about Marine tour lengths and assignment locations in the continental United States and overseas. It doesn't matter what your Marine Corps job is: If you're a Marine, you're going to deploy, sooner or later. The Marine Corps does not put as much money and effort into Quality of Life programs as do the other services. Learn more about life as a Marine after enlistment.